Dozens of technical reports show original biochemistry within the bodies of long-buried fossils, and the reports just keep coming. 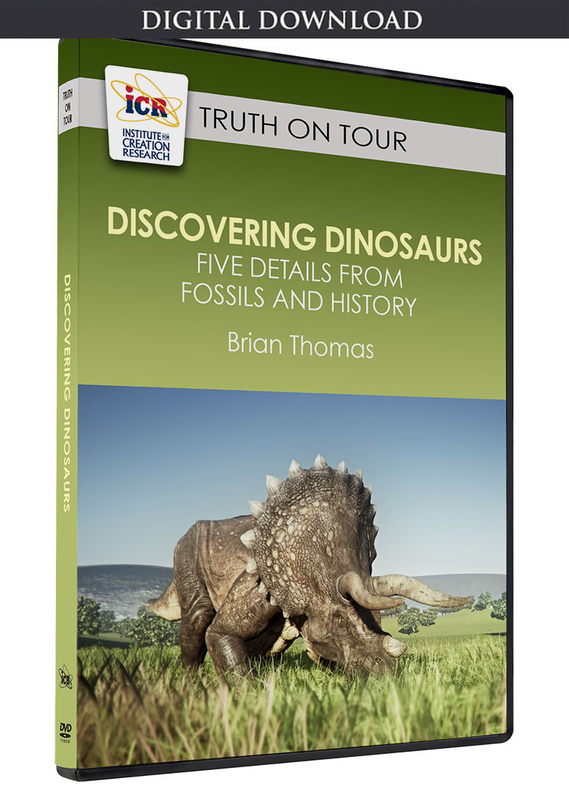 Three new reports give occasion to reconsider the age assignments for all these fossils. After all, none of them comes with a death-date label. But the biochemicals they harbor resemble timers that should have elapsed long ago unless these fossils were deposited thousands of years ago, not millions. The biochemicals they harbor resemble timers that should have elapsed long ago unless these fossils were deposited thousands of years ago, not millions. First, researchers describe original fat in a fossilized bird gland from Germany’s Messel Shale. Today’s birds use preening glands near their tails to treat their feathers with a weather-proofing oil. Without the gland, a neck flexible enough to reach the gland, an adequate beak to collect the gland’s lubricant, and the instinct to preen feathers, then a bird’s feathers would get misshapen, dry, and cracked, making flight impossible. They did, indeed, find direct evidence of pigments. 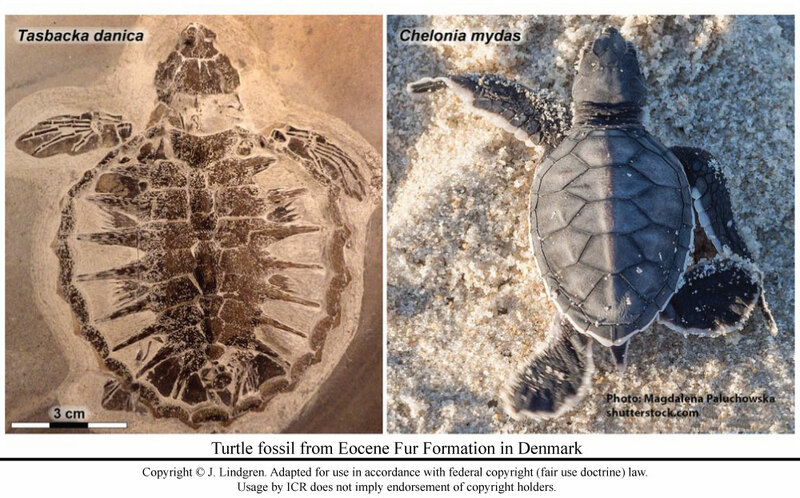 They used immunohistochemistry and electron microscope-based elemental analysis to confirm that the fossil’s dark exterior came from the same biochemical that makes up living baby turtles’ dark skin. But they could not have found direct evidence that “adaptive melanism…had evolved,” since they did not directly see it evolve. Their conclusion appears to be a speculation based on an assumption. This fully pigmented baby turtle appears in its completed form, just like modern turtles, with no evolutionary process in sight. 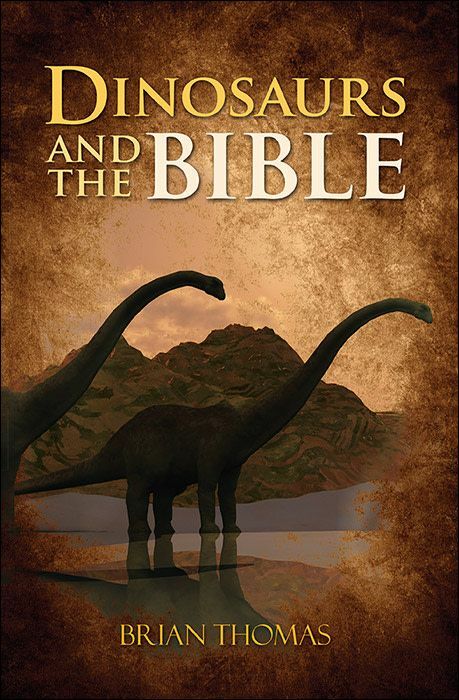 Nor did the fossil convey “direct chemical evidence” of 54 million years. That’s impossible. Science cannot directly measure the age of any artifact. The best science can do is to use a proxy for age—some process with a regular decay rate—and assume that the specimen being dated has been decaying the same way in the past.4 For example, biochemicals decay at regular rates under ideal conditions. They can last thousands of years, but not a million, and certainly not 54 million. Nor did the fossil convey “direct chemical evidence” of 54 million years. That’s impossible. Science cannot directly measure the age of any artifact. Protein decay experiments have determined 68 million years as a length of time “vastly greater than thought possible” for proteins to last. Their solution to this dilemma was to claim contamination, despite the difficulties that story raises. Contamination would require a highly unlikely scenario: Detection devices from several different labs somehow all retained enough residual protein from prior samples even after the standard thorough washing procedures for the high-tech equipment. Plus, what are the odds that each of those supposedly contaminant samples just happened to mimic likely dinosaur protein sequences? In the end, protein contamination can’t explain lipids and pigments either. Biochemicals decay at regular rates under ideal conditions. They can last thousands of years, but not a million, and certainly not 54 million. One harmonious resolution seems to evade all these secular researchers. If these fossils were deposited thousands of years ago, not millions, then experiments confirm they could still carry original biochemicals, and observations confirm that some actually do still carry remnants of their ancient carcasses. Micu, A. Researchers discover astonishingly intact, 48-million-year-old bird fats in fossilized gland. ZME Science. Posted on zmescience.com October 19, 2017, accessed October 25, 2017. Clarey, T. 2014. Rapidly Forming Oil Supports Flood Timeframe. Acts & Facts. 43 (3). Lindgren, J. et al. 2017. Biochemistry and adaptive colouration of an exceptionally preserved juvenile fossil sea turtle. Scientific Reports. 7: 13324. Lisle, J. 2017. Creation 101: Radiometric Dating and the Age of the Earth. Biblical Science Institute. Posted on biblicalscienceinstitute.com October 27, 2017, accessed October 30, 2017. Wiemann, J. et al. Dinosaur origin of egg color: oviraptors laid blue-green eggs. PeerJ. 5:e3706. Buckley, M. et al. 2017. A fossil protein chimera; difficulties in discriminating dinosaur peptide sequences from modern cross-contamination. Proceedings of the Royal Society B. 284 (1855): 201750544. Thomas, B. 2015. Original Biomaterials in Fossils. Creation Research Society Quarterly. 51: 234-247. Stage image: "48-million-year-old" bird fats in fossilized gland. Article posted on December 7, 2017.